Are you a fan of Resident Evil https://en.m.wikipedia.org/wiki/Resident_Evil ? With the new release of the Resident Evil 7 game, the topic of Resident Evil is popular right now. However, these films of a similar genre are hits too. If you like zombies, fighting, action and Resident Evil, check out this list! A 2001 Horror film, Jeepers Creepers was named after the 1938 song Jeepers Creepers, which is played in the film. The plot is about a brother and sister who encounter a flesh-eating creeper on their way home, on a solitude road, during their Spring break. They later find out from a strange woman that this creature is an ancient being that hunts humans during the Spring so it can eat their limbs. 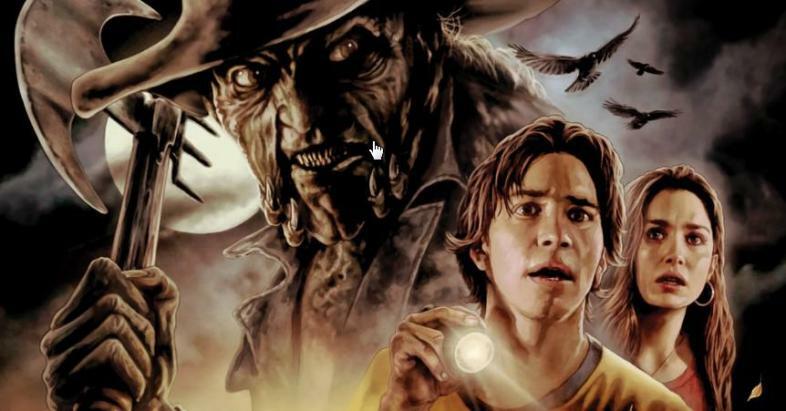 Full of gore, strange creatures, and unknown territories, Jeepers Creepers has similar elements to Resident Evil. Creeper would probably be the first name I'd come uo with too, if i saw this guy. A 1974 Fantasy/ Thriller, Texas Chainsaw Massacre is a gory film about a group of teenagers on the road, in Texas, who encounter a strange family when they take the wrong stop. Known as the Sawyer family, they are famous for using their butchering skills on people that pass by them. As the teenagers encounter more and more members of the family, they also encounter more blood, killing, mysterious events, and chainsaws. I guess the west was wilder than they thought. A 2006 Thriller/ Slasher, The Hills Have Eyes is a remake of its 1977 version. The plot is about a family whose car breaks down in the desert, and is then wanted by a crowd of threatening mutants. After hearing strange stories about the hills, they discover the truth once they find mutilated bodies and dangerous lizards trying to kill them in the region. So the hills have eyes, but I guess they also have creatures pretending to be Unicorns in them. A 2002 Thriller, Resident Evil resembles the Resident Evil games due to its emphasis on flesh-eating creatures and fighting. Once large masses of scientists have been transformed into zombie-like creatures, its up to a U.S. paramilitary unit to fight them and save survivors from the disease. Loaded with action, Resident Evil is a legendary apocalyptic film that was just the beginning of its epic series. Resident Evil is where some high-class infected creature killing goes down. This remake to a 1981 cult-hit Horror film portrays the story of five friends who become caved into a solitude cabin. Once they discover an ancient Book of the Dead, they accidentally invite tormenting demons from the woods into their area. After the demons possess the youngest of the group, only one out of the five friends is left alone, and must survive the haunting that these dark spirits stirred up. they're evil, they're dead, and they're stabbing themselves to make sure they're still evil and dead. A blood-filled 2004 film, Saw is the beginning of the gruesome, yet popular series. As victims try to find their way out of a mysterious serial killer named Jigsaw's traps and games, they find themselves betraying each other, cutting off limbs, and ultimately screaming for their lives. Jigsaw makes the scenario more twisted by forcing the family of a victim to watch the scene on film. Conniving, terrifying, and shocking; Saw is a film designed for the Horror junkie. This isn't what I remember jigsaw puzzles looking like as a kid! This 2008 Horror/ Drama film that is based on a Novel about a Radio Announcer who encounters the beginning of a series of strange events while driving through a blizzard on his way to work. Here an unfamiliar woman approaches his window with only one word to say: “blood”. Later on, he hears about a riot and discovers that people are tearing through each others bodies, and even eating each other. He finds out that this is the result of a virus that spread into the English language. Once certain words are said and understood by a person, they catch the disease. Apocalyptic, mysterious, and suspenseful, in Pontypool we see how a man and his coworkers deal with pools of blood, dead people, and somewhat dead people. This expression says only one thing: "I'm so shocked that people are eating each other!" I Am Legend is a 2008 Thriller/ Drama about a surviving scientist from a man-made plague that creates bloodthirsty mutants out of humans. He seeks a cure for the plague, and uses his immune blood to do so. He searches the city of New York for other survivors, and encounters two of them that rescue him from what are known as “darkseekers”. As they seek a cure, the three also seek safe places and other humans while they explore the country, dodging anything dark that comes their way. A man's best friend is there even when everyone else has turned into a zombie-like creature. A Thriller from 2010, The Crazies is about a toxin that turns a city's people into wild, blood-crazed killers. To keep the disease from spreading, authorities ban anyone from getting in or out. Trapped in a town full of crazies, a Sheriff and his friends must find a way out before they too become crazy. According to Psychologists, the symptoms for a crazy person are now an appetite for flesh and madly seeking human limbs. These two films from 2009 and 2016 are about a group of friends that travel the zombie invaded country in search for a safe haven in Los Angeles. They take their zombie-killing book and zombie-killing weapons and begin their journey. These films are a comedic take on a zombie apocalypse. "Let's kill some zombies." is the new "what's up?" in this film! A 2011 Thriller, this film is about the journey of five friends to a little cabin in the woods for their vacation. To their surprise, the woods are full of zombies. However, there's more to the mystery than they thought. Two scientists are manipulating the zombie risings, leading their journey to become more of a suspenseful discovery. I thought they were just exaggerating when they said you might cross dangerous animals while camping in the woods. With gory scenes, strange creatures, apocalypses, and a whole lot of fighting, these films are perfect for the Resident Evil fan. Whether you choose to watch the mysterious The Cabin in the Woods or the epic I am Legend, you’ll find something on this list for everyone. If you liked this article, check these out!